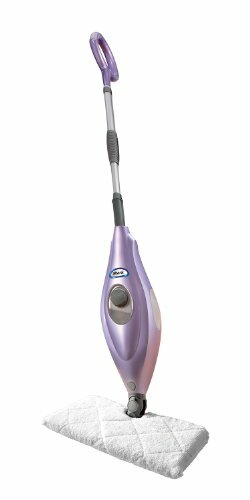 As promised, I told you I would tell you all about the Shark Steam Cleaner; after trying the Shark Navigator. This was sent to me by the company as a thank you product to review, if I chose to, after attending an event Euro Pro hosted in New York City. Steam cleaning has always appealed to me as an alternative to using chemical cleaners, which is one reason I decided to attend the Euro Pro event. I’ve been very happy with my Shark Navigator but so has my housekeeper – which goes to show I am not writing some silly biased reviewed (do people do that)! I’ve been reviewing the Shark Steam Pocket Mop complements of Euro Pro. This means my house has been steamed from top to bottom and the products used extensively in my home! In this section I want to highlight more details about how this product works, what the features are, and how I found using it. I will not only mention the things i found great, but also a few minor cons I found. No product is perfect, so there were bound to be a few, right? This is a steam cleaner after all, so how fast and easy does that part of it work? Within 30 seconds the steam is up and steaming! It flows right into the microfiber pad, so it really helps you get things cleaned up in a jiffy. This is great for cleaning wood or tiled floors and getting that hard to see or remove dirt that a quick mop just can’t seem to do. 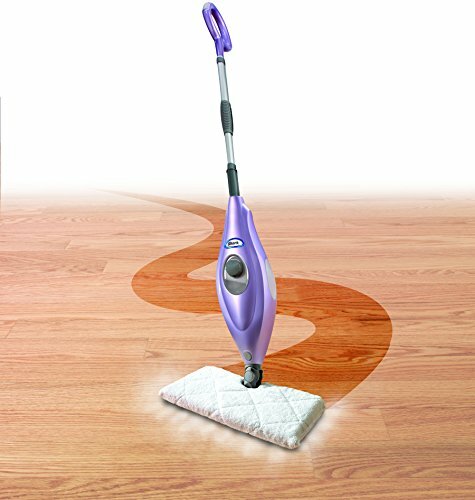 On top of all that, it also has a pump to steam function, so you can get loads more steam coming out and remove those hard to clean stains or more sticky things on the floor. An absolute godsend after a big night in the kitchen cooking, or a party, or big spill on the floor. Isn’t it always the case that when you are cleaning you run out of cord, just when you need to get to the other side of the room? Not so with this baby! With a staggering 25′ cord, you are never going to run out of length in almost any room of the house. Ok, I don’t live in a mansion, but still, I never had a problem with the length of the cord, which also saves time as you don’t have to change outlets all the time too. Of course, if you have a huge kitchen or other room, this might not work for you, but it’s more than enough for most people. 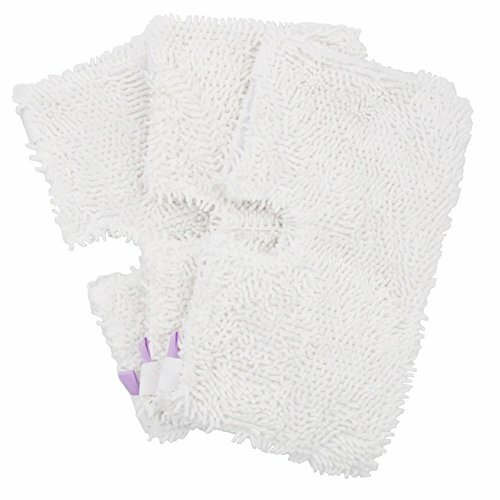 The microfiber pads can be machine washed and dried well. Now, this was something I was a little dubious of. After all, it is all very well to clean with steam and have the pads wet all the time, but can you get them clean after using? This was a resounding yes! Over time though, you will have to replace them. And they are not super cheap. So, this is probably the biggest con of this product that I have found. Of course, for the price of convenience, it might be worth it for you too. It certainly was for me. It’s kind of like the Swiffers, they save you a huge headache when cleaning, but you have to replace them. In this case, maybe a little less often. Of course, you are always using water when you are using a steamer, so, just like your iron, you do have to keep your eye on the water level. At least when you are doing a big clean. It is kind of hard to keep your eye on this without stopping and really checking it. There is a window, but I found it a bit of a pain to be honest. It’s not a show stopper by any means, but Shark, if you are listening, it would be nice if there was a more obvious indicator on this thing. Overall, I have to say this was a great addition to my cleaning machines. It is a super fast and thorough way to get tile and wood floors dirty, where I would otherwise be busting my hump with a mop. The steam really does amp up the cleaning ability and save you lots of time going back to the bucket and getting more water (which you normally would have to do). So, despite a few negatives, I give it a huge thumbs up! When it comes to being Green and Clean – saying no to the chemicals is a must whenever possible. Yes, I used electricity and packaging for the products but now they are here and I can clean over and over again with no cleaners or harsh chemicals – a true money saver! This thing only cleans with steam (aka, hot water) so, it’s a blessing in disguise if you ask me. Thanks for your review of the products. For the mop, how much water can it hold? How much cleaning before it needs a refill? The 30' cord does sounds really good! How smooth does this go when cleaning carpet? With the pad is doesn't look like it would glide well. I've been curious about steam cleaners for a while. I just might have to break down and buy something like this one of these days! Thanks for the review! Your green products reviews is good. Heal the world. Talking abt steam cleaning… We live in NY and a few weeks ago had my mattress, carpet and sofa steam cleaned (we have twins and a dog), you wouldn't believe the dirt and scum that came out of his machine straight into my toilet after he was done! I was apolled! They used green products, on the mattress he used something called “baby safe” and let me read the ingredient list. they are called “mr. green carpet care” and are highly recommended. That guy did a great job. Would you say it cleans better than a regular mop? When it involves your home, restaurant, office, or the other place you would like maintain their cleanliness, one important aspect is cleaning your carpet for a healthy living. There is lots of cheap carpet cleaning services to be hired nowadays.